The nights are drawing darker and the air is growing colder, I think we can safely say that autumn is well and truly here! 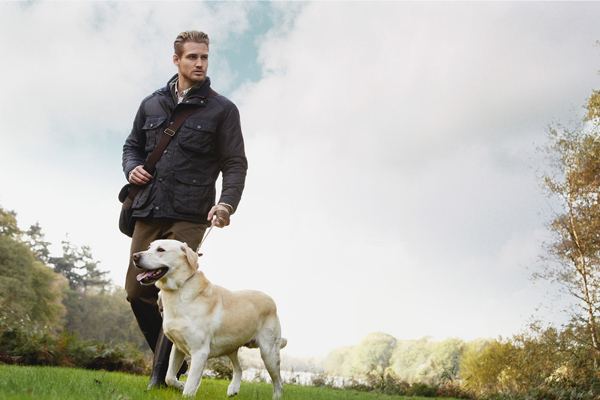 So, whilst you’re not snuggled up at home by the crackling fire accompanied by a hot choc, you’re going to need the Barbour AW15 range to keep you nice and warm. 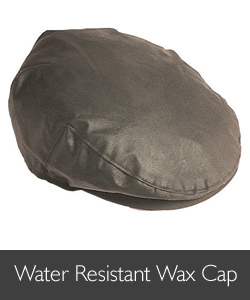 Barbour Wax Cap – Whether you’re out in the field or promenading around town, this cap if perfect for keeping you dry in drizzly conditions. 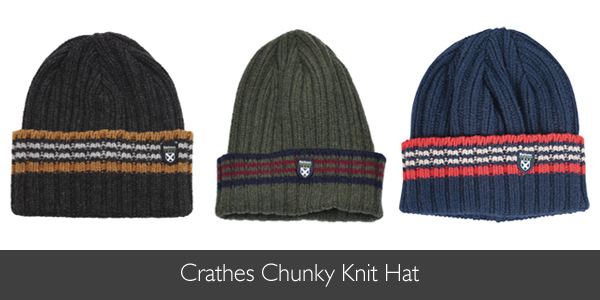 Barbour Crathes Chunky Knit Hat – Made from 100% lambswool, this new addition to the Barbour AW15 collection is sure to keep your ears nice and snug in the chilling wind. 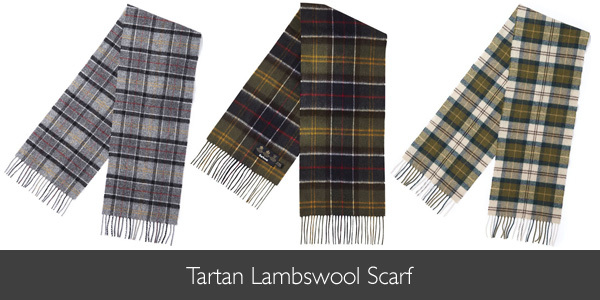 Barbour Tartan Lambswool Scarf – Made from 100% lambswool, these iconic Barbour tartan scarves are perfect for burrowing into when facing the unsettling autumn wind. 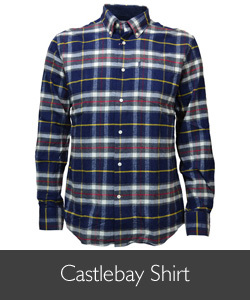 Barbour Castlebay Long Sleeve Shirt – Inspired by Barbour’s Scottish roots, the Castlebay has been designed with a stunning Highland check. 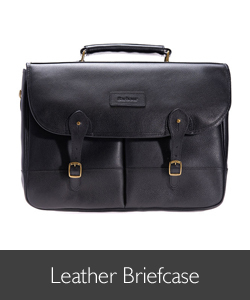 Featuring a gorgeous contrasting inner lining and stylish pearlised buttons; a striking addition to any gentleman’s autumn wardrobe. 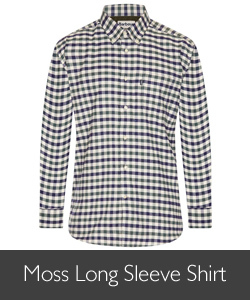 Barbour Moss Long Sleeve Shirt – This traditional fit shirt has been designed with autumn in mind, featuring a beautiful rich green and purple check. 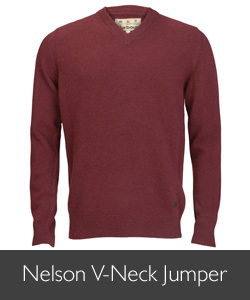 Barbour Nelson Essential V-Neck Jumper – Add a splash of colour to your country attire with a Nelson Essential lambswool jumper. 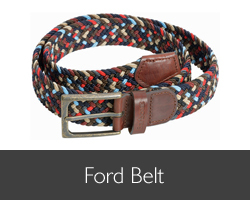 Available in a range of colours that are sure to brighten up the dullest of days. 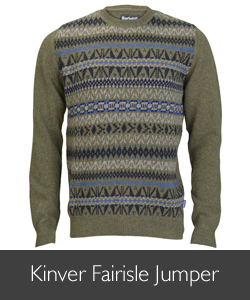 Barbour Kinver Jumper – This ultra-soft Fairisle jumper is a great addition to your autumn wardrobe, thanks to its cosy lambswool knit and gorgeous Fairisle pattern. 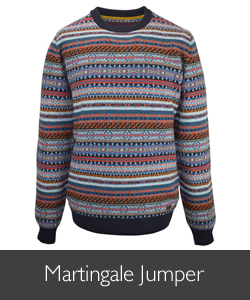 Barbour Martingale Sweater – Everyone needs a Fairisle jumper for the autumn/winter months, it’s a British must have tradition! 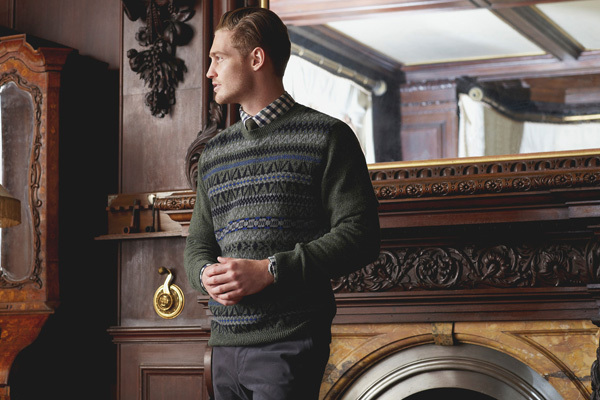 The Martingale sweater sold like hot cakes last year, so be quick as it probably won’t be around for too long. 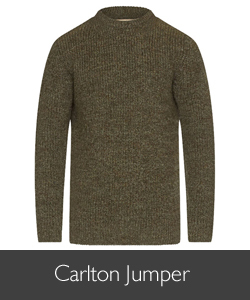 Barbour Carlton Knit Jumper – Shooting season is here, which means long hours in the field. 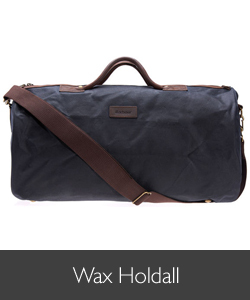 The Carlton makes for a perfectly snug middle layer as it is made from 100% extra wool to retain body heat. 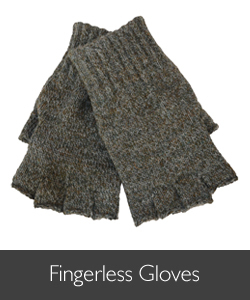 Plus this jumper is Teflon® coated, which means it is also water resistant, perfect for keeping you warm and dry. 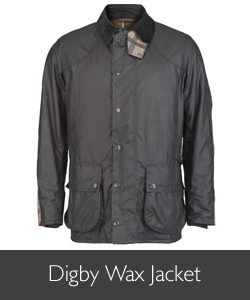 Barbour Digby Wax Jacket – This ultra-stylish traditional wax jacket will become your reliable winter ally in a second! 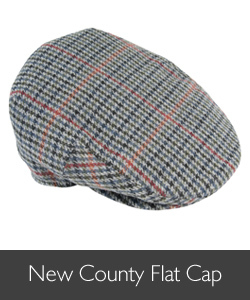 Thanks to its waterproof and wind stopping abilities. The Digby jacket has been tailored with tiny hints of Barbour’s signature tartan within the lining, on the elbow patches and on the sleeves. Barbour Fortnum Quilted Jacket – For the classic country gent look the Fortnum will do nicely, with its smart/casual cut and overall timeless look. 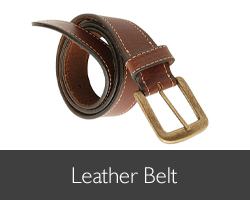 Plus its super-soft Alcantara® lining is exceedingly warm too! 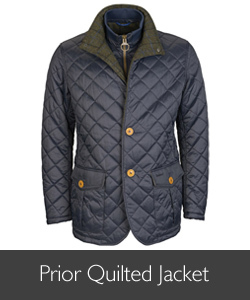 Barbour Prior Quilt Jacket – Keep nice and toasty with the well-cut Barbour Prior, with its 100 g insulating padding and inner quilted storm guard. 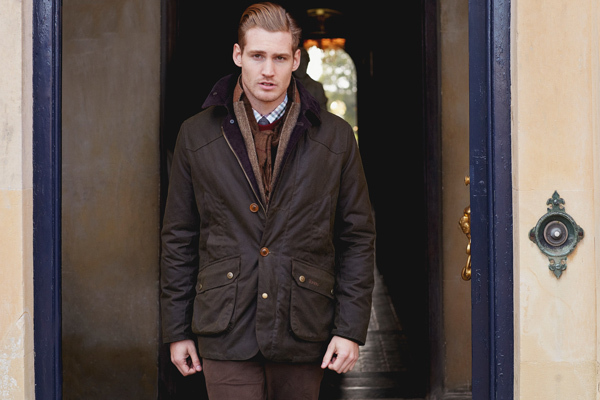 This jacket has also been tailored with touches of tweed to give you that extra little touch of luxury. 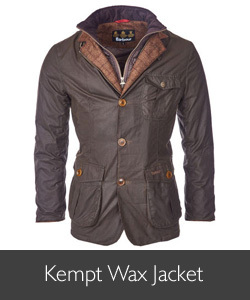 Barbour Kempt Wax Jacket – The Kempt is the perfect jacket for winter! With its 6oz Sylkoil wax cotton outer and extremely warm quilted polyester lining, you are sure to be protected against whatever winter throws at you. 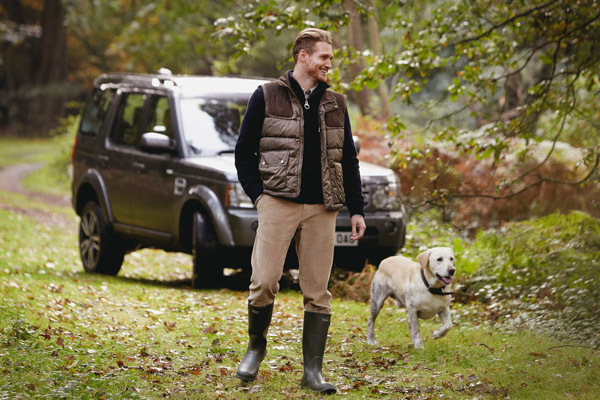 Barbour Colwarmth Gilet – The Colwarmth isn’t only a stylish, it’s also practical too! 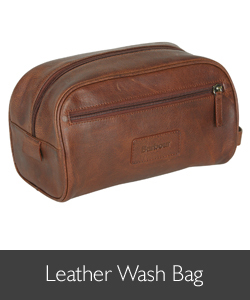 With its suede shoulder patches and deep pockets, the Colwarmth will keep you nice and snug in the chilly winter months with its 350 gm down filling and polyester padding. 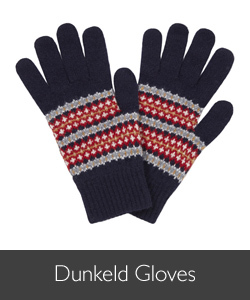 Stop Jack Frost from nibbling at your fingers with some beautifully warm Barbour gloves. 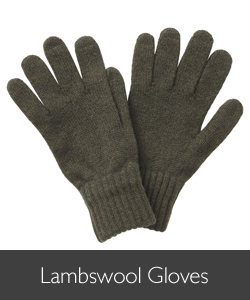 All made from supremely warm lambswool! 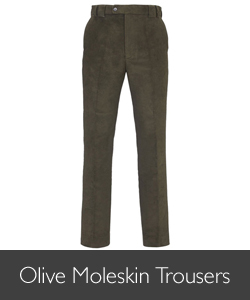 Barbour Moleskin Trousers – There is nothing worse than having a comfortably warm torso and shivering legs! 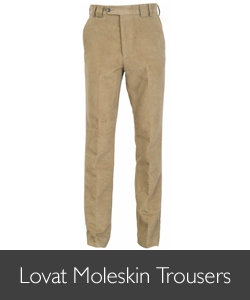 With Barbour’s pure cotton moleskin trousers you will be provided with unbeatable warmth when you’re outside in the cold. 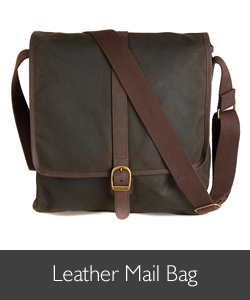 Autumn, barbour, Barbour Accessories, Barbour bags, Barbour Jumper, Barbour Lambswool Scarves, Barbour Quilt, Barbour Shirts, Barbour wax jackets, winter. Bookmark.